- LIMITED TIME FACTORY PROMOTION - Just £499.95 each - Save £500.00! TV Friendly - Unlike other electric fireplaces, the front heat outlet means you CAN mount the Wärme Firebox under a TV to create 'the look' of 2018. 50" Wide - Massive feature piece in any room. Create the WOW factor. 1kw & 2kw Output - Powerful yet compact. 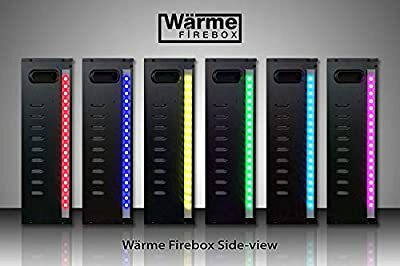 The Wärme Firebox has two switchable heat settings of 1kw and 2kw for additional heat. 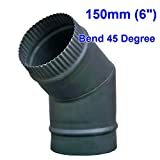 Adjustable between 10-27°C. Can be used without flames and lights purely for heat. 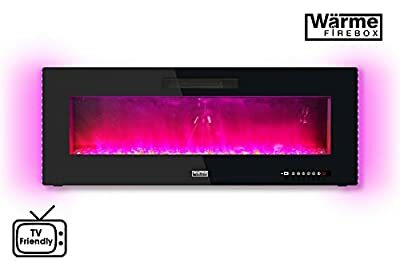 Fan Assisted - Heat your room fast and efficiently with a fan assisted Wärme Firebox. Safe Around Children & Pets - Keep your loved ones safe with no real flames to touch. Wall Mountable - Stunning looks when mounted to the wall in minutes with the FREE wall bracket included OR insert in to a wall cavity for flush fitting. Also comes with feet for floor standing use. 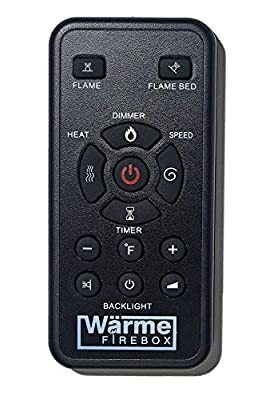 Remote Control - Everything you need in one state-of-the-art remote. 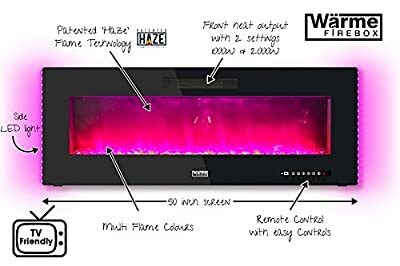 Multi Colour Flames and Flame Bed - Have your Wärme Firebox in the colour you want to match your furnishings (or change it as and when you want!). Colours include red, yellow, blue, white, and pink. 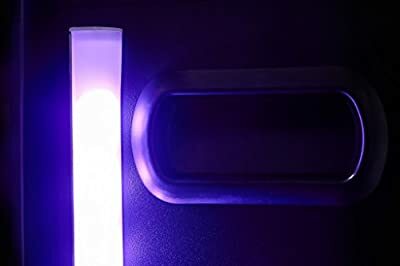 LED Mood Lights - Create a stylish setting with the choice of 8 different LED side light colours. 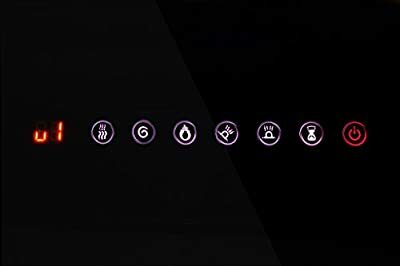 Dimmable - 5 brightness settings. Change the flame, the flame bed and the LED side lights individually. Like No Other - Our state-of-the-art Haze Flame Technology is patented.
? Add the WOW Factor ? Patented Haze Flame Technology ? Multi Colour Flames & Side Lights ? 1kw & 2kw Output ? 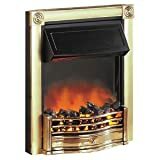 Safe Around Children & Pets - Keep your loved ones safe with no real flames to touch.